London Mayor Sadiq Khan is urging the capital's creative community to help amplify the message that post-Brexit London is open for business. Khan is inviting creatives from London and beyond to submit a visual interpretation of #LondonIsOpen as part of a new "open source" campaign. 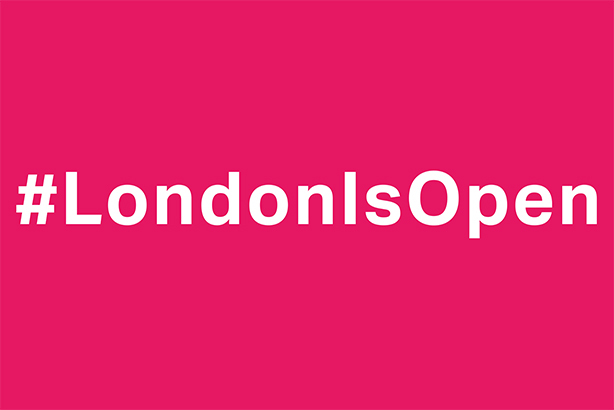 The brief is to spread the message that London is open for business, music, food, drink, sport, art and more using the hashtag. The plan is to share several designs across social platforms and different media, from billboards to theatres, at sporting and cultural events until the end of the year. The designs will also be showcased at City Hall during the Open House event in September. Agencies and individuals from the across the PR, marketing and advertising industries can submit ideas for logos initially using the hashtag. They will later be asked to put forward creative ideas to support the project. London-based PR firm Freuds and promotions company London & Partners are among the agencies supporting the initiative. Khan said: "Following the referendum on the UK’s membership of the European Union, it is more important than ever to show that our city is united and the capital will continue open for business and open to the world. This is a task that needs us all to work together – to get the best deal for London, to retain our global position and to celebrate our diversity. "Now’s the time to make that message clear to everyone – that our city is comfortable in its diversity, proud of his history and optimistic about its future. London is open. Over the coming weeks, I will be working with as many people as possible to ensure London continues to be the best place in the world for business, creativity and innovation — and that London continues to be the best place in which to live, work and raise a family. "I’m asking that you join me in spreading this message of inclusiveness and openness and to get behind our #Londonisopen movement by showing your support however best you can. By providing brilliant creative content that can be shared by all Londoners, using your own social media reach, or supporting this initiative in other ways. However you can help, we’d love to work with you." Ideas should be sent to marketingteam@london.gov.uk with the title "London is open submission" by 22 July. Serious concerns have been raised about businesses leaving the capital since the public voted for Brexit. A recent poll of 1,000 UK business leaders by the Institute of Directors found that one in five planned to move their operations outside the UK, and that a quarter were freezing recruitment. Meanwhile, organisations in some EU countries are actively encouraging a business exodus from London. In a bid to lure firms from the capital to Berlin after Brexit, Germany’s FDP party organised a van to drive through Westminster and Shoreditch last week with the slogan: "Dear start-ups, keep calm and move to Berlin."